Safer Sleep Week is The Lullaby Trust’s national awareness campaign targeting anyone looking after a young baby. It aims to raise awareness of sudden infant death syndrome (SIDS) and the proven advice on how parents can reduce the risk of it occurring. We know that greater awareness of safer sleep leads to a decrease in the numbers of babies dying. Sadly around 4 babies a week still die from SIDS and if all parents were aware of safer sleep advice many lives could be saved. Around 700,000 babies are born every year in the UK and we need to continue to reach out to all new parents with our safer sleep message. This year’s Safer Sleep Week will take place 11th-17th March 2019. Find out how to get involved. In 2019 our focus is on co-sleeping. 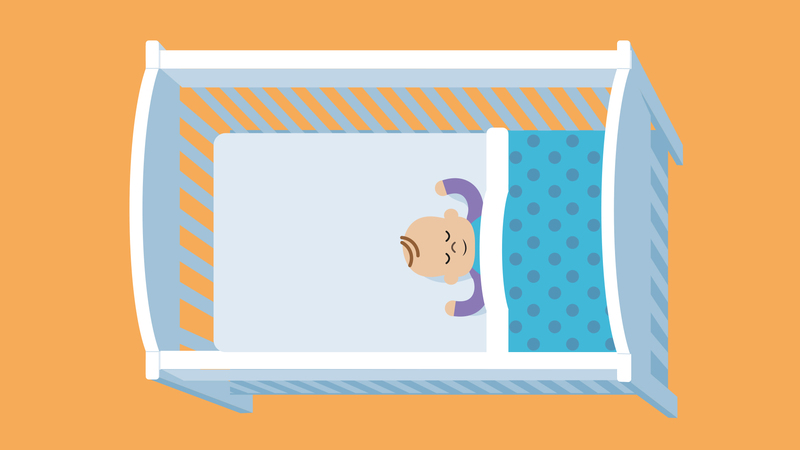 Co-sleeping is still very popular but hazardous co-sleeping is a key risk factor for SIDS. There is fierce debate on this issue but many parents lack information on how to co-sleep more safely and the potential risks of co-sleeping under certain circumstances and health visitors struggle to impart this information in a way that parents will accept. This campaign will focus on helping parents to make informed choices about co-sleeping and avoid hazardous co-sleeping.